Posted bykleesceramics	 February 17, 2013 March 10, 2013 1 Comment on The key to your heart? 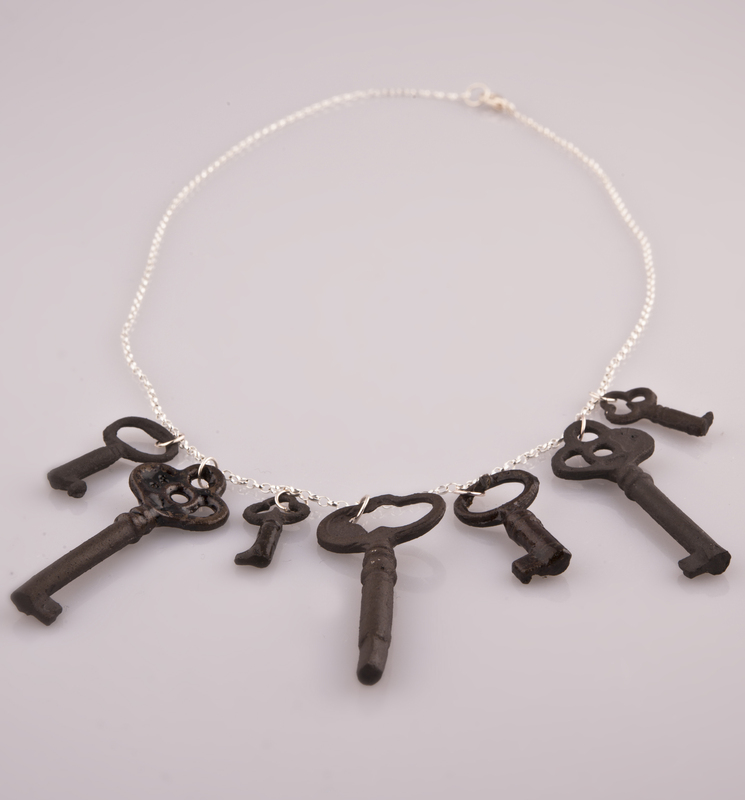 This week with it being Valentines Day my key necklaces became metaphors for love, a key given as a gift between lovers is considered a symbol of unlocking the door to the heart. It is believed that the giver will be lucky in love. 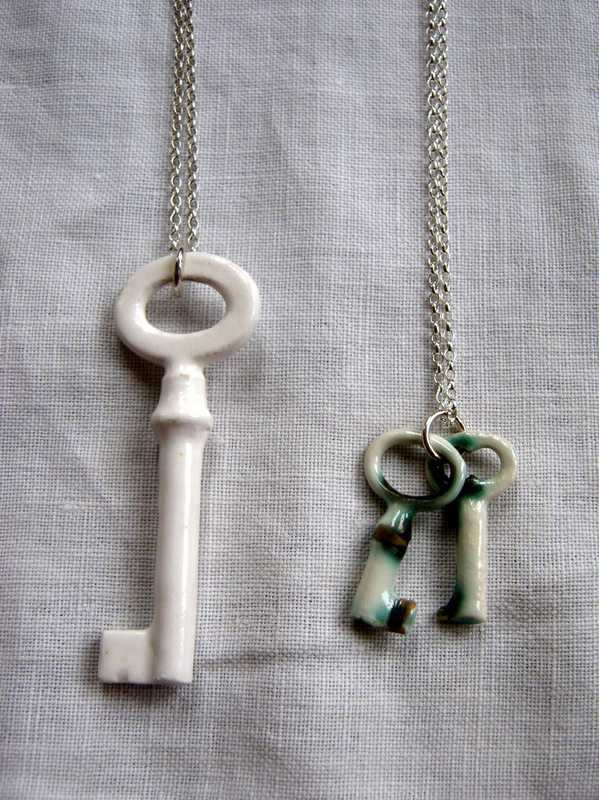 However keys hold many other meanings as well, so I thought I would share with you some of the symbolism behind my ceramic keys. Cast from Victorian pass keys (keys that open more than one door) these ornate ceramic keys are symbols for luck, wealth and trust. In Victorian times keys were worn as a status symbol, each key a lady wore represented a room in her home, the more keys she wore, the bigger her home. 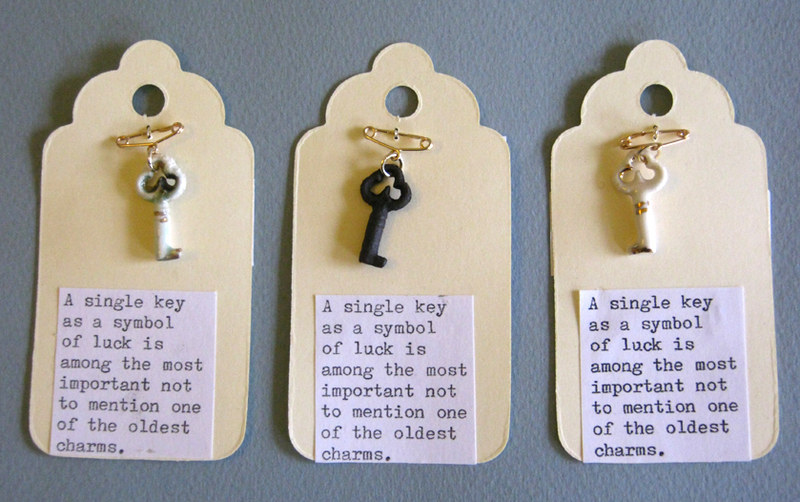 As a symbol of luck, a single key is among the most important, not to mention one of the oldest, of charms. As keys are used for unlocking doors, they can represent unlocking mysteries or treasures making them a symbol of mystery and power. 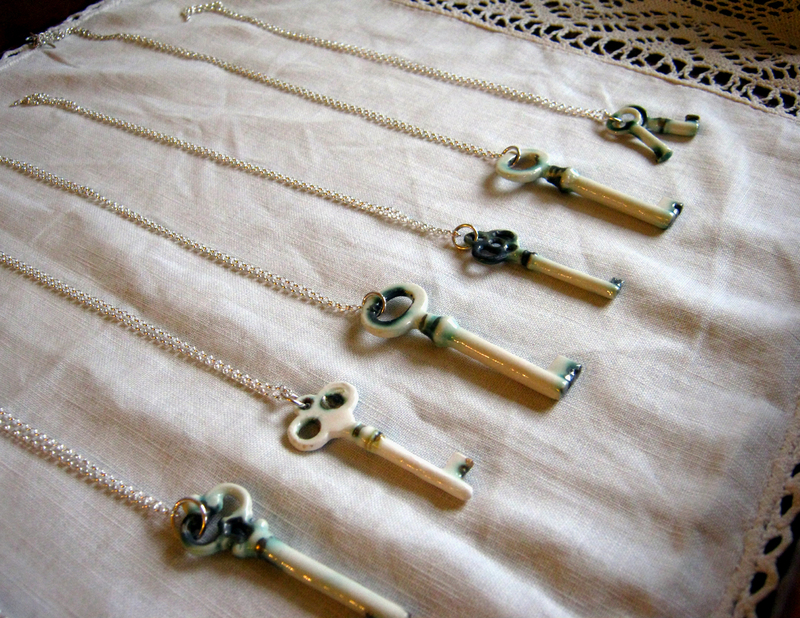 A key can also guard a secret hidden away, symbolising trust. The gold lustre detail on the porcelain keys represents rarity and preciousness and due to the nature of my work each key is unique.